Food and lens: Efo riro. Nigerian Food. 2 lbs cuts of beef (Boiled and lightly fried) Save stock. Add beeft, stock fish, dried fish and dried shrimp. Stir and disperse liquid as needed till done. Simmer and cook down till there's little or not liquid left. 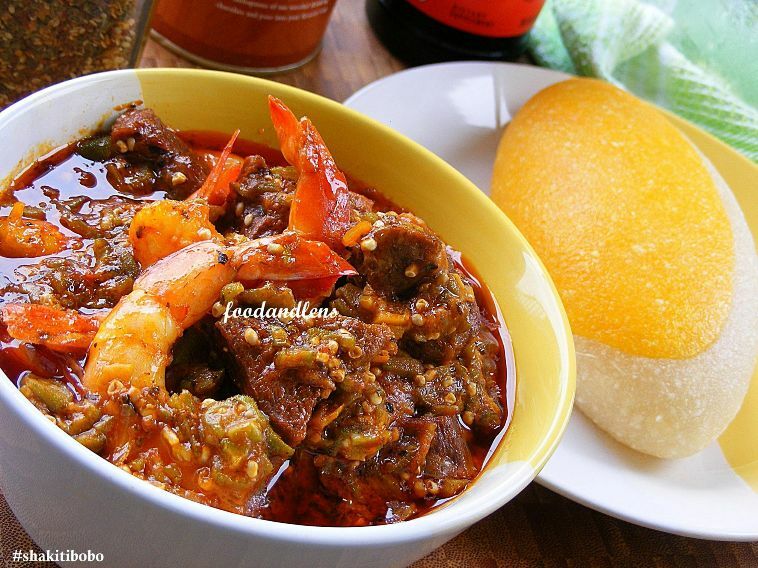 Serve with your choice of fufu. Labels: Efo riro. Nigerian Food.